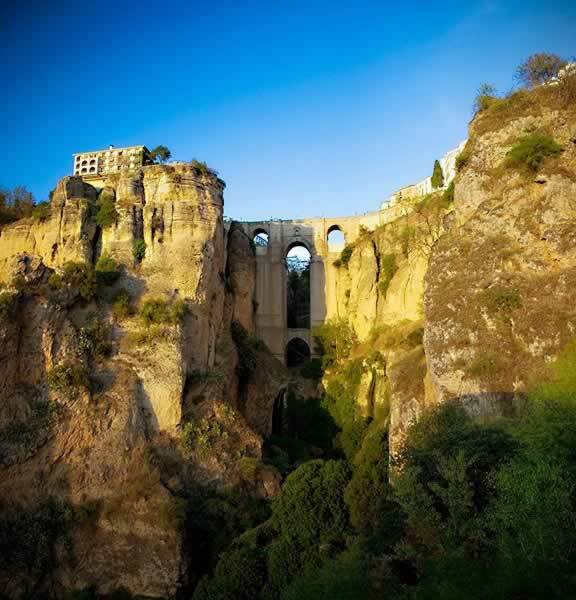 This Ronda's Bridges Map shows the famous Ronda Bridges,popular attractions, places of interest & transport locations. 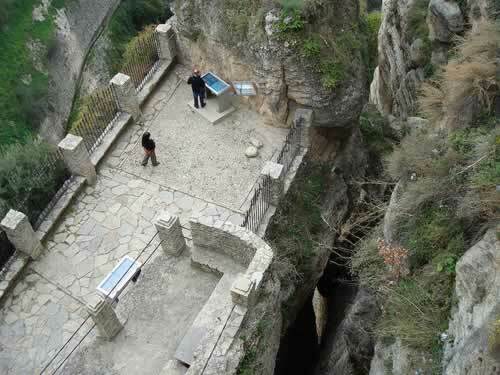 Click the name in the right column to highlight the location on the map. 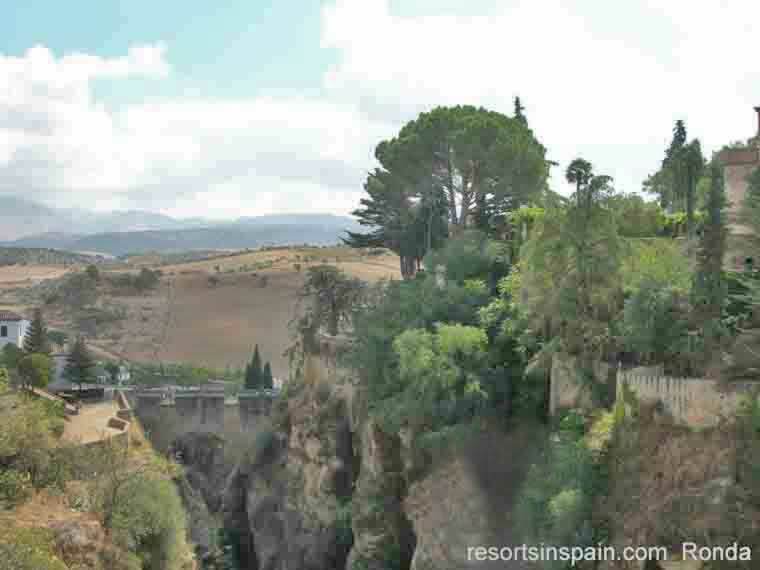 The new bridge at Ronda is the bridge that everybody comes to see. Although it is called new it is in fact over 200 years old, being completed in 1793. 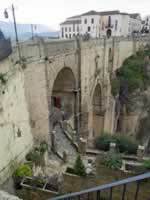 It is the second bridge in this location, the first one completed in 1735 collapsed killing 50 people only 6 years later. 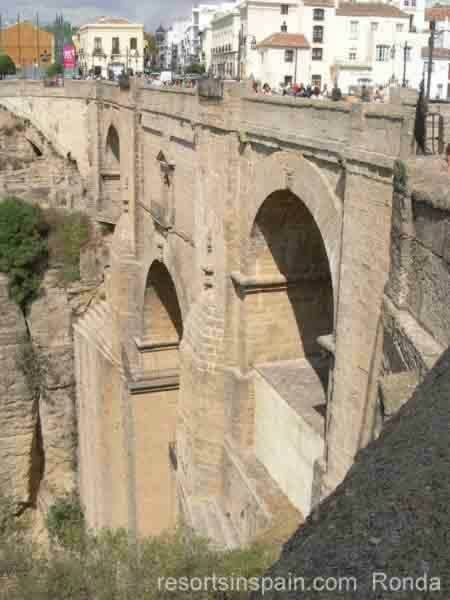 The bottom level has a single central arch, the second level also has a single very tall central arch and the top level where the gorge is wider has a large central room with a small window on both the front & rear of the bridge that look along the gorge and also 2 shorter side arches. 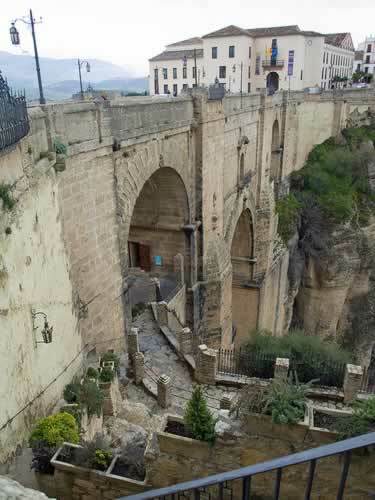 Within the arch is a 60 square foot room, now a museum about the bridge & surroundings. 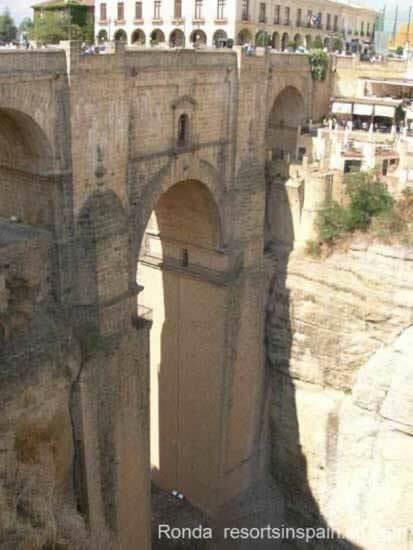 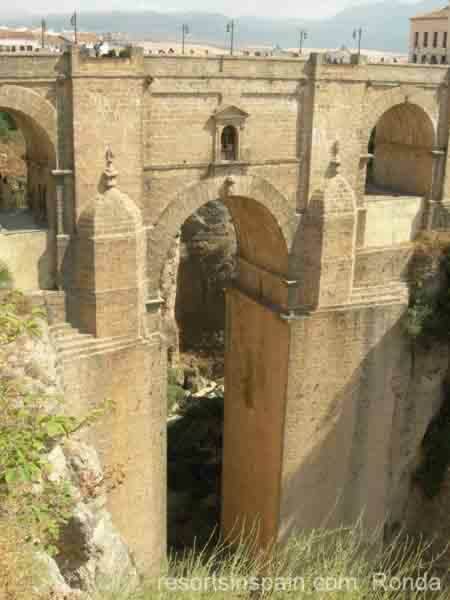 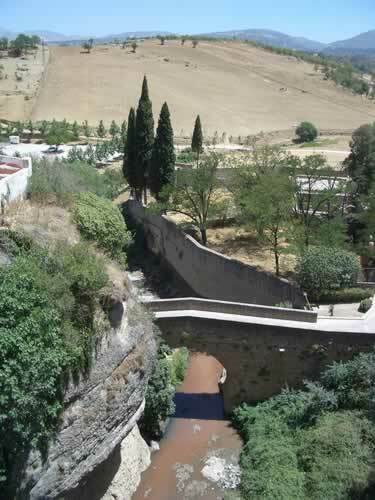 The Old Bridge at Ronda (Puente Viejo) was also built by the Arabs and is also known as the Arab bridge (Puente Árabe). 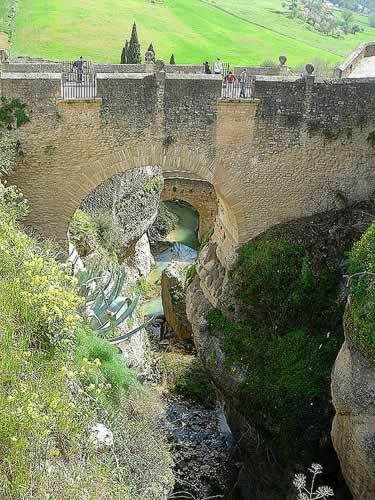 It is built a few metres down stream from the Roman bridge, which can be seen through the arch in the above photograph. 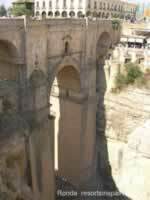 The bridge is located further into the gorge and built at a higher level. 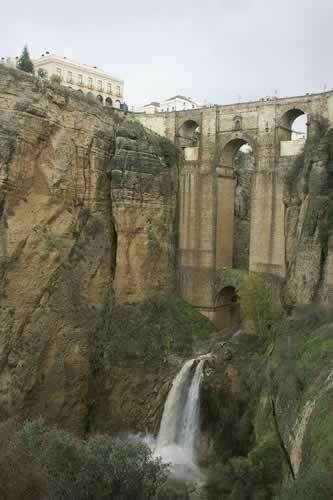 This made the journey into the Old Town of Ronda slightly less strenuous and less liable to flooding of the river. The Roman bridge is the original bridge over the River Guadalevin and a typical single arch stone bridge. Although called the Roman bridge it was in fact built by the Moors and lead to the important northern gate into the old town of Ronda. 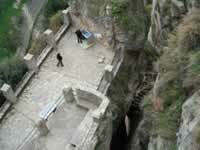 This was followed by a steep zig zag path up the cliff slope through the defences into the town on the high plateau above.